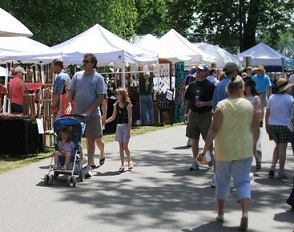 Nautical, Tropical, Renaissance and Pirate Vendors including Commercial and Corporate vendors as well. Construction and renovasions are complete and the park is now more beatiful than ever. Light towers will be provided. Use of your own personal Quiet Generator is allowed. Vendors with period correct tents, please call Kathy at 561 792-9260 to discuss special arrangements for your tent location and set up. Pirate Fest Vendors will receive a special discounted rate at select hotel locations. Complete the Vendor Information Form to the right to view pirate fest vendor hotel rates. 2019 Hotel info coming soon! ​ 2019 Vendor Application is now a PDF that can be filled out online. Once you have filled out and saved your application as a PDF, use this form to submit your application for approval. If your payment was made online, make sure your email address matches the one you had used to make your payment. Your application should be saved as a PDF. All paperwork & fees must be received before application will be processed. Submission of an application does not guarantee your acceptance. Booth & App Fees are non-refundable with the exception of your application being rejected; your Booth Fee will then be refunded. This is NOT the vendor application, it is simply a request for information. IF your check is returned for Non-Sufficient Funds you will be charged the maximum fee in accordance with Florida law.